A simple and happier treatment option for kids. Invisalign® First is a set of specifically designed removable appliances or “aligners” that address the most common early orthodontic treatment needs for children who still have a mixture of permanent and baby teeth. The aligners are designed to correct a broad range of younger patients’ malocclusions, manage the erupting teeth, and guide arch expansion. 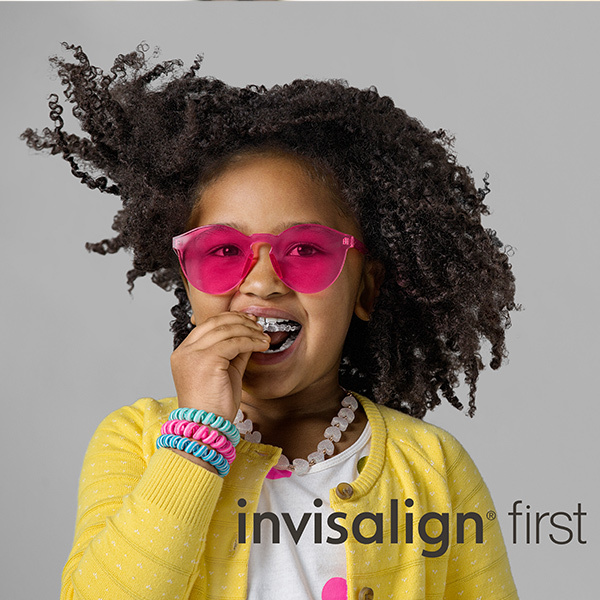 The first step for Invisalign® First is a simple scan of your child’s teeth. No messy impressions. Next we’ll plot your child’s treatment digitally so you know what to expect. Then we’ll order or create the removable expanders and track the treatment every step of the way as the expander works to give your child a confident smile. In years past children with a mixture of baby and adult teeth began orthodontic treatment in Cary and Raleigh, North Carolina with a fixed appliance. Fixed appliances can be very uncomfortable for young children and impact their lifestyles. Invisalign® First changes all that. 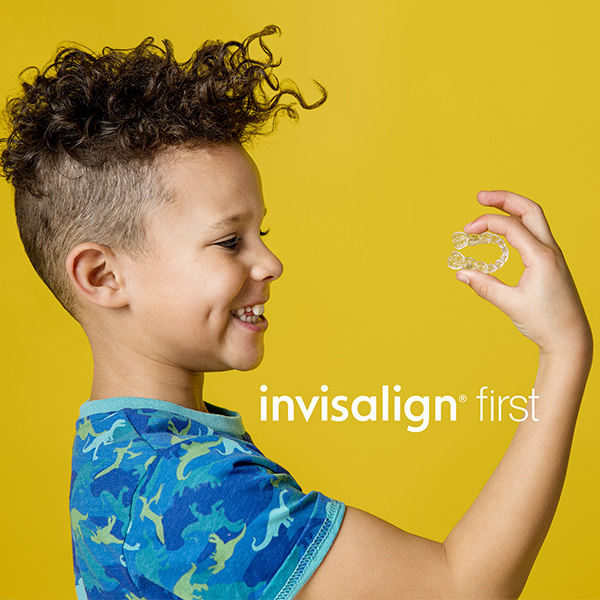 Invisalign® First has become a popular choice for parents because aligners can address and prevent misalignment of the teeth in children as they grow. This unique aligner system simplifies orthodontic treatment for children in Cary and Raleigh and prevents many issues from getting worse. Here are a few of the benefits of choosing Invisalign® First. Enjoy all their favorite foods and eat what they want, whenever they want too. Avoid the hassle of advanced flossing techniques and keep good oral hygiene habits on track. More than 5 million smiles have been shaped by Invisalign® First. Correct a broad range of teeth straightening issues including spacing and dental arches. At Walton & Maready Orthodontics we are committed to finding an orthodontic treatment plan that fits your family’s lifestyle. Schedule a free consultation today to learn more about Invisalign® First and to determine if this treatment plan is right for you.